Protesters gather at a rally in Washington in October. 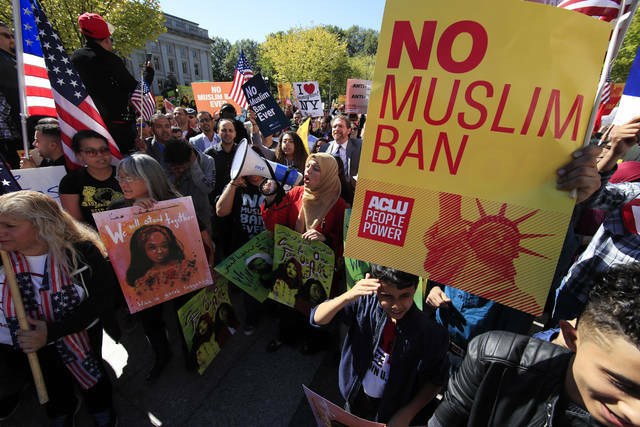 The Supreme Court is allowing the Trump administration to fully enforce a ban on travel to the United States by residents of six mostly Muslim countries. The justices say in an order that the policy can take full effect even as legal challenges against it make their way through the courts.